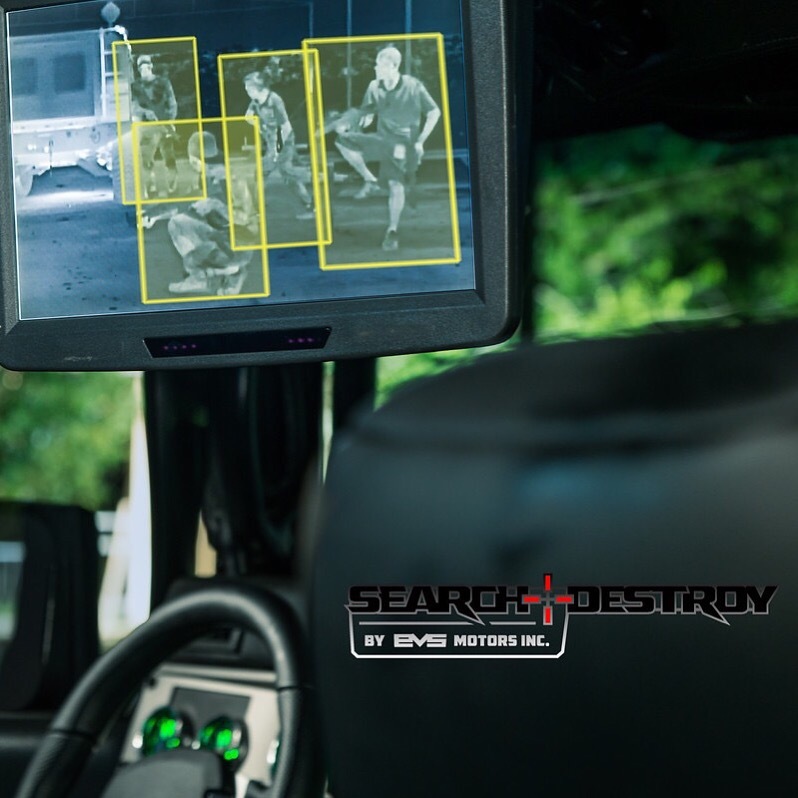 What are the Search & Destroy H1s by EVS Motors? EVS Motors has been in the automotive industry for over 15 years. We have clients from the USA to the Middle East. We can logistically work with any client anywhere. With experience and expertise in the field of customizing vehicles we felt the need to develop something for the one percent. Exclusive one of a kind vehicles that you won't have to worry that your neighbor has. Our initial platform of choice is the world famous AM General Hummer H1 or otherwise known has HMMV (High Mobility Military Vehicle) in the military world. It is a vehicle unlike any other, with capabilities and feat that the most expensive civilian vehicle cannot match. Loaded with standard features other offroad vehicles don't even have as an option such as; Planetary Gears, Fully Caged Undercarriage, Eaton Lockers, CTIS (Central Tire Inflation System), 30"-40"+ Water Fording Capabilities, 600 Mile Range, Dual Fuel Tanks and much more. With these already capable feats from a stock Hummer H1, we take them to a new level of extreme capabilities! From our Tier 3 to our Tier 1 models of the Search & Destroy H1's they take already amazing capabilities to new extremes! For example our Tier 1 increases the water fording capabilities by an additional 7" over a standard H1 model! EVS Motors teams up with only the best in the industry to provide the most exclusive and most capable civilian H1 yet. 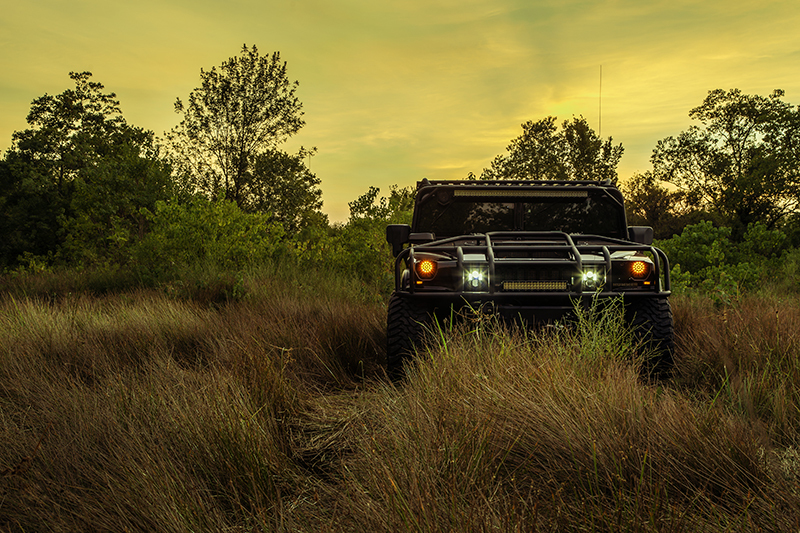 The Search & Destroy H1's have exclusive one of a kind parts made only for our tactical vehicles. We have partnered up with such brands like ADV.1 Wheels to provide us our private label Search & Destroy wheels and lighting products from Apollo Optics and Baja Designs. Tactical brands such as FLIR a industry leader for US Military applications supply us our Thermal Vision Cameras with Human & Animal tracking. We believe in providing only the best for our clients. In the future we will build other exclusive Search & Destroy tactical vehicles in different platforms and models. We look forward to ushering a new era of civilian tactical vehicles.